"Choice" is about the decisions we make throughout life, and how each choice is a building block of who we are. 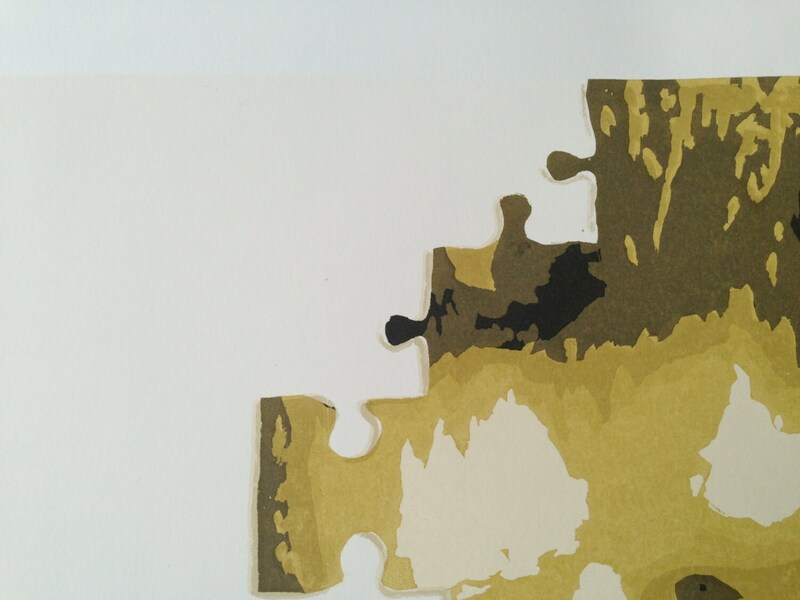 A very light cream color is printed as the first layer, creating a unique play on positive and negative space. 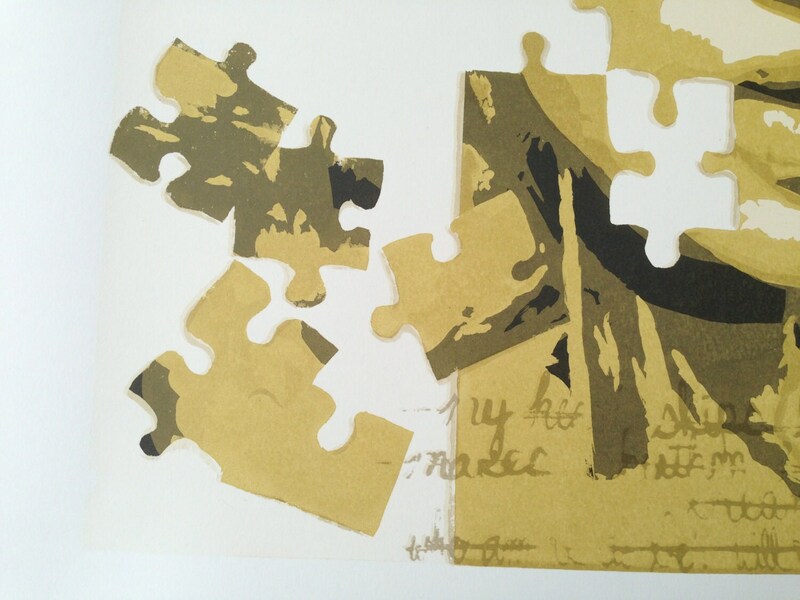 Each puzzle piece features a small drop shadow, creating the illusion of depth against the flatness of paper. Writing, as if taken straight from an individual's journal, overlaps the bottom of the print. 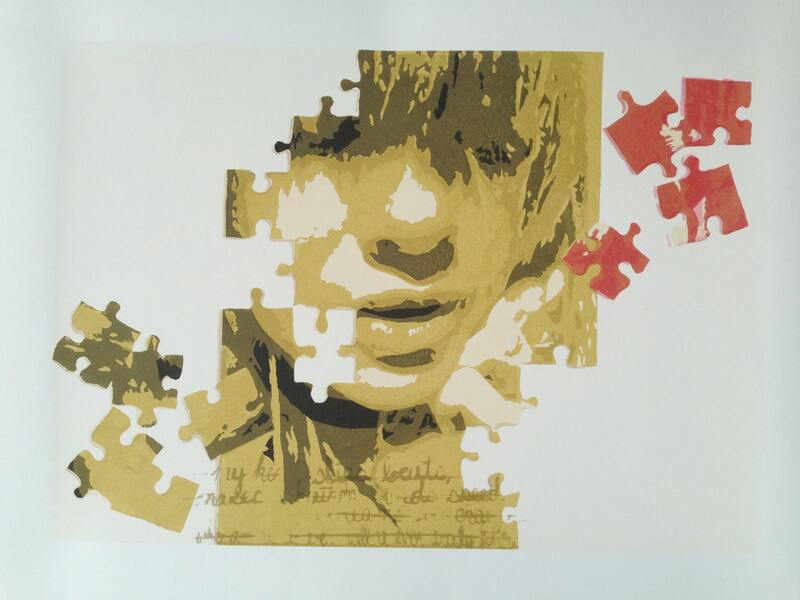 Printed on white archival paper, this screen print measures 22" tall and 28" wide. 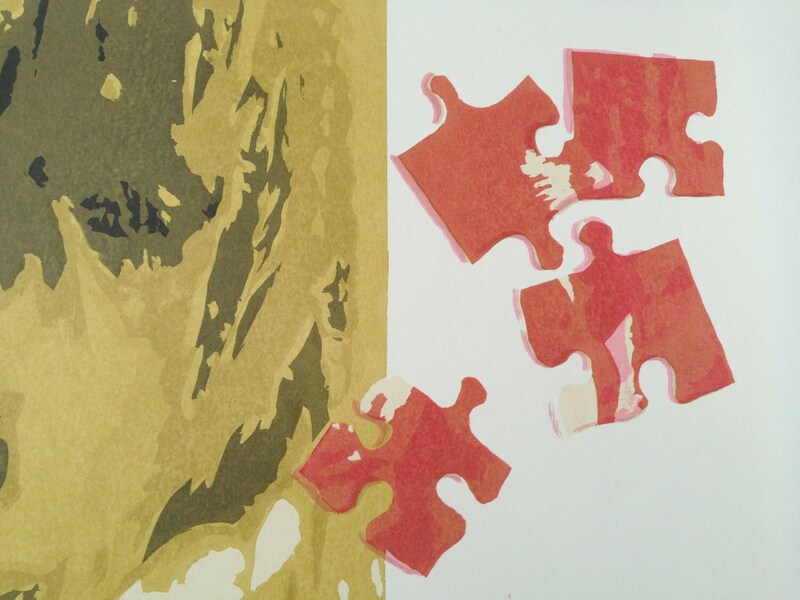 Tones of olive green and dark pink are layered in acrylic ink to create this image. "Choice" is a 10 print series. 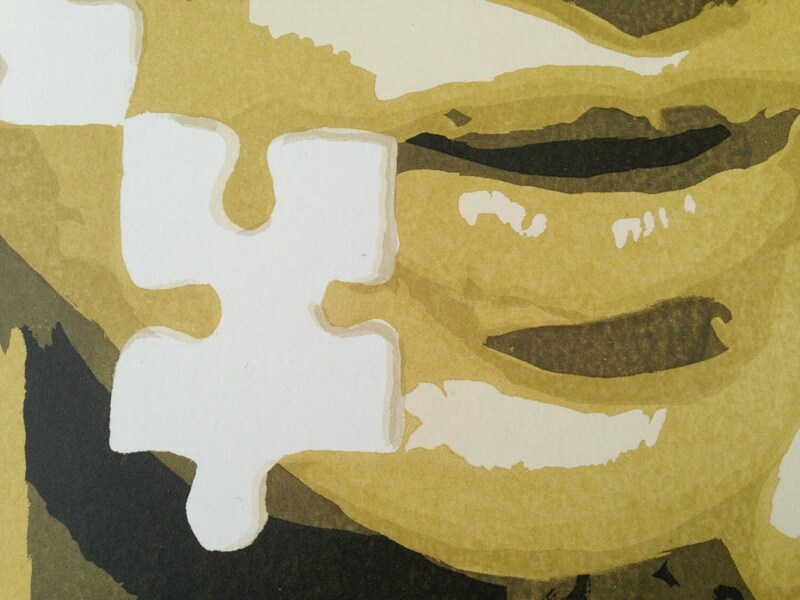 Each print is signed and numbered, making this piece very unique.